Fulton Allen was born in Wadesboro, North Carolina, United States, to Calvin Allen and Mary Jane Walker. He was one of a family of 10 children, but after his mother's death he moved with his father to Rockingham. As a boy he learned to play the guitar and also learned from older singers the field hollers, country rags, and traditional songs and blues popular in poor, rural areas. He married Cora Allen young and worked as a labourer, but began to lose his eyesight in his mid-teens. According to researcher Bruce Bastin, "While he was living in Rockingham he began to have trouble with his eyes. He went to see a doctor in Charlotte who allegedly told him that he had ulcers behind his eyes, the original damage having been caused by some form of snow-blindness." However, there is an alternative story that he was blinded by an ex-girlfriend who threw chemicals in his face. By 1928 he was completely blind, and turned to whatever employment he could find as a singer and entertainer, often playing in the streets. 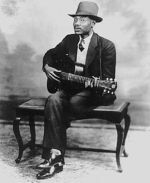 By studying the records of country blues players like Blind Blake and the "live" playing of Gary Davis, Allen became a formidable guitarist, and played on street corners and at house parties in Winston-Salem, NC, Danville, VA, and then Durham, North Carolina. In 1935, Burlington record store manager and talent scout James Baxter Long secured him a recording session with the American Recording Company (ARC). Allen, Davis and Washington recorded several tracks in New York City, including the traditional "Rag, Mama, Rag". To promote the material, Long decided to rename Allen as "Blind Boy Fuller”. Fuller's repertoire included a number of popular double entendre "hokum" songs such as "I Want Some Of Your Pie", "Truckin' My Blues Away" (the origin of the phrase "keep on truckin'"), and "Get Your Yas Yas Out" (adapted as "Get Your Ya-Yas Out" for the origin of a later Rolling Stones album title), together with the autobiographical "Big House Bound" dedicated to his time spent in jail. Though much of his material was culled from traditional folk and blues numbers, he possessed a formidable finger-picking guitar style. He was criticised by some as a derivative musician, but his ability to fuse together elements of other traditional and contemporary songs and reformulate them into his own performances, attracted a broad audience. He was an expressive vocalist and a masterful guitar player, best remembered for his uptempo ragtime hits including "Step It Up and Go". 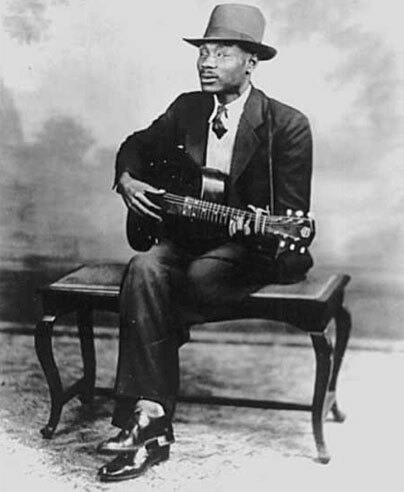 At the same time he was capable of deeper material, and his versions of "Lost Lover Blues", "Rattlesnakin' Daddy" and "Mamie" are as deep as most Delta blues.